Our attorneys stand committed to each of our clients’ best interests – legally, professionally and financially. With nearly 100 years’ combined experience, the Petti and Briones team takes pride in achieving your best possible result and in effectively representing you at every phase of the legal process, from the commencement of an investigation through trial, and, if necessary, by handling any and all appeals. Because emergencies happen around the clock, the Petti and Briones team will be there for you day and night. We will do so by providing excellent legal representation at a fair price and by providing the legal expertise of a much larger firm with responsive customer service and zealous attention to detail. Individuals or entities facing administrative sanctions or criminal prosecution by government bodies. Tribal gaming law and representation of Indian tribal bodies. Securities violations and compliance matters. High-profile criminal defense and civil litigation. The Petti and Briones team would love to help you, your business or your organization. Please feel free to contact us today. 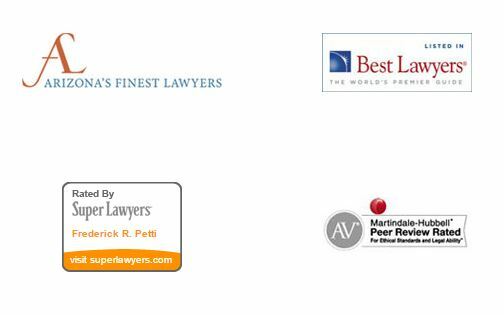 We look forward to assisting you in realizing your legal, business and professional goals.